Legend has it, the marlin fishing was pretty spectacular the day two mates moored in and got gee’d up to chat about the one that got away. But they noticed a distinct lack of places to kick back and enjoy a good craft beer. Solution? They built their own. 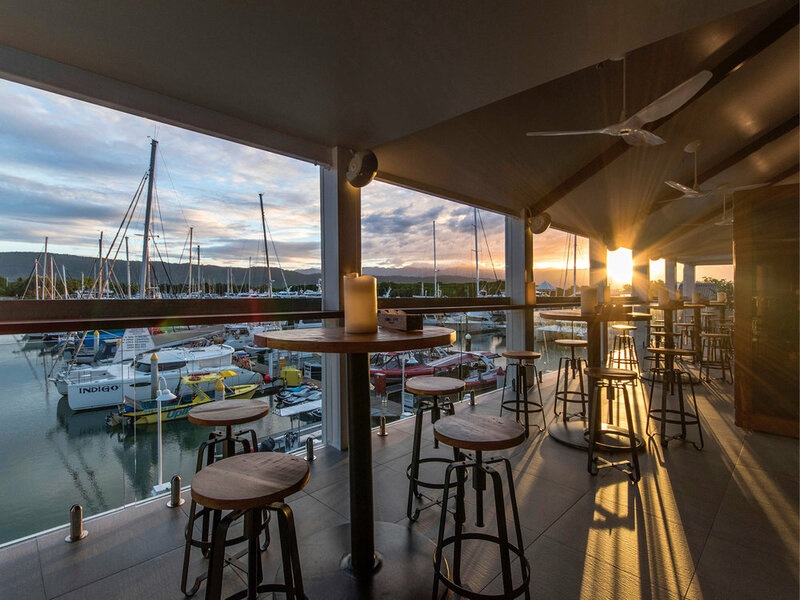 Enter, Hemingway's Brewery at the Crystalbrook Superyacht Marina Port Douglas. Situated smack bang on the marina overlooking Dickson’s Inlet, Hemingway’s is a perfect spot to kick back for a holiday brew. And with a brew-menu full of their own creations, there’s plenty in the range to tickle the taste buds of the avid beer connoisseur, the brew-newbie and everyone in between. As you can imagine, with a namesake such as Hemingway’s, this brewery has a few wild tales to tell. In fact, every brew has its own story that talks about a notable time or character in Port Douglas history. The Prospector Pilsner is named after a famed gold prospector who missed the southern rush, only to strike in big in the north; Doug’s Courage IPA tells the tale of the true Port Douglas spirit after the disastrous 1911 cyclone, while Pitchfork Betty’s Pale Ale suffers no fools – this famed publican with her big heart, golden purpose and rusty pitchfork is legendary. Ushering more than a few pickled patrons from her establishment wasn’t a rare sight, all in the name of preserving the essence of the good life and good times of old Port Douglas. Wild tales with varying degrees of fact alongside the utopian, tropical climes demanded ingredients as pure as the sunshine - the finest Australian hops, only the very best sourced base malts, and of course, the purest waters from the nearby Mossman Gorge. Beer never sounded so good! The setting couldn’t be any more idyllic if you’d designed it yourself. A timber boardwalk with blue and whitewashed accents, superyachts moored in clear waters making you dream of the other life, the mountains of the Daintree Rainforest in the distance. At sunset with the sky turning all shades of pink and orange, there is simply no better place to be. Hemingway’s is open from 11am daily, which – given the climate – is perfect for lunchtime tastings. An exceptional live music program from Fridays through to Sundays keeps the event calendar strong, along with regular beer and BBQ focused events throughout the year. Snack game is strong with gourmet pizzas, burgers and a kickass smoker that gets fired up with BBQ classics including Texan Brisket and Smoked Ribs. Shuddup and take my money. 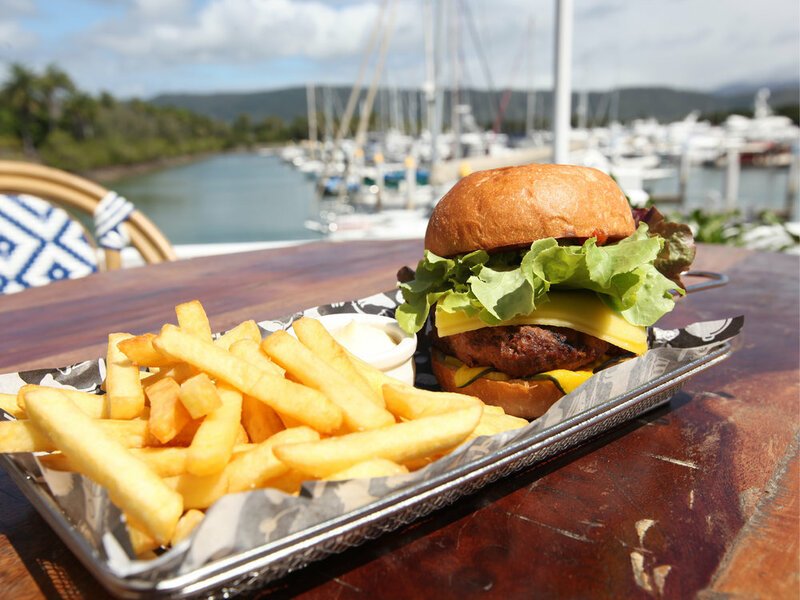 If you’re on the look out for some more fine brews, why not check out our Best Beers in Port Douglas. We might be a little one-eyed up here, but we can’t think of a better place for a cold beer after a hard day of doing sweet fa!